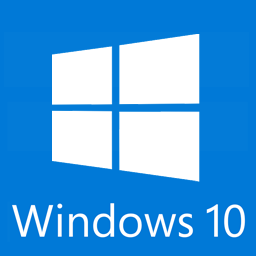 Windows 10, the latest operating system by Microsoft Windows comes along with a wide range of brand new features. The new personal assistant, Cortana and the smart experience has made it an attractive upgrade. Add in the new, more secure Web Browser, Microsoft Edge, and you have a very attractive, and free upgrade. How can you determine whether your computer can handle this new system or not? 1. Check whether you have enough space on your hard drive – If you are a Windows 7, Windows 8 or Windows 8.1 user, you can get Windows 10 as an upgrade. This will keep you away from the hassle of formatting your hard drive. However, you need to check whether you have enough space on the hard drive for the new system files. According to the sources, you need to have at least 20GB of free space on the system partition to experience a hassle free upgrade. 2. Backup all your files – You can also go for a fresh start by deleting all the existing files during the upgrade process. If you consider this option, you need to back up all the important files in your hard drive before the transition process. You can copy them to an external hard drive or a pen drive. If you have a good network connection, you can simply upload them to a cloud. In case if something goes wrong during the installation process, you don’t need to worry about anything because you still have access to your important files. 3. Microsoft ID – According to the Microsoft website, you don’t need to have a Microsoft ID to upgrade to Windows 10. However, it is always better if you can link a Microsoft ID to your system during the installation process. Some people have not been able to upgrade their computer to Windows 10 without a Microsoft ID and it can clearly be seen from the online comments. 4. Compatibility of your apps – If you decide to go for an upgrade from Windows 7, Windows 8 or Windows 8.1, you need remember that some application that you have used on previous operating systems might not be compatible with the new one. If you notice any issues, you will be able to fix them by uninstalling and reinstalling a fresh copy. However, you need to check whether you have any license key to reinstall the app. In addition, driver issues can arise with Windows 10 and it can be fixed by downloading new drivers from official sources. 5. Hello Windows – People who have a fingerprint scanner or Intel Real Sense 3D will get the opportunity to enhance their security with Hello Windows. This will give you the opportunity to stay away from frustrating passwords and during log in process. If you keep these facts in your mind during the Windows 10 installation process, you will get the opportunity to stay away from hassle that is associated with Windows 10 installation. This is the best way to make sure your computer is ready for your Windows 10 Upgrade. Don’t want to do it yourself? Call Salem Technologies to assist you.